FASTPATCH EJC-50 is a flexible, two component, rapid setting, polyurethane-based joint sealant. EJC-50 is an ASTM C920 Type M, Grade P, Class 50 self-leveling (SL) expansion joint compound with excellent elongation and cures rapidly. For larger projects FASTPATCH EJC-50 can also be meter applied, Contact Us for more details. 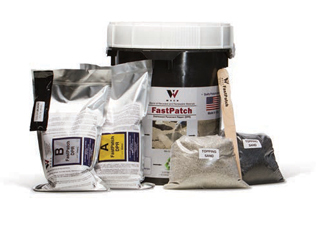 FASTPATCH EJC-50 is also available for Metered Dispensing in 10-Gallon Kits (5-Gal Resin, 5-Gal ISO) and 100-Gallon Kits (50-Gal Resin, 50-Gal ISO). 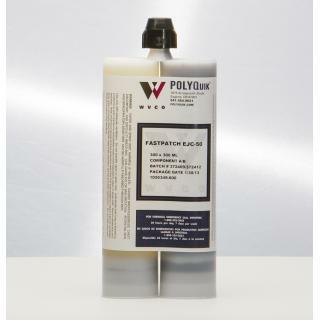 FASTPATCH EJC-50 is a flexible, two component, rapid setting, polyurethane-based joint sealant. EJC-50 is an ASTM C920 Type M, Grade P, Class 50 self-leveling (SL) expansion joint compound with excellent elongation and cures rapidly. Joint sealant for 50% movement. Gel Time = 5 min. 1:1 Vol. PACKAGING: Case of (12) 600 mL Dual Cartridges (12-Pack). UNIT VOLUME: 600-mL (300x300) per dual-cartridge. YIELD: 600-mL Cartridge = 36.61in³. SET TIME = 50 min. RATIO: 1 to 1 (Resin to Iso). Before handling, you should become familiar with the Material Safety Data Sheet (MSDS) regarding the risks and safe use of this product. The MSDS is included within the product packaging. For a copy of the MSDS please Contact Us with your request. View the FastPatch EJC Joint Sealant Installation Guidelines. - ALWAYS WEAR SAFETY GLASSES AND GLOVES WHILE HANDLING CARTRIDGES. - FOR BEST RESULTS: STORE CARTRIDGES IN UPRIGHT POSITION. CONDITION CARTRIDGES TO ≥ 60°F (15°C) BEFORE USING. SECURE MIX-TUBE TO CARTRIDGE AND TIGHTEN NUT, BE SURE TO AVOID CROSS-THREADING. MIX TUBE END MAY BE CUT FOR GREATER EXTRUSION RATE (OPTIONAL). LOAD CARTRIDGE INTO DISPENSER; KEEP CARTRIDGE UPRIGHT. BEGIN DISPENSING AND FILL MIX-TUBE WITH MATERIAL (KEEP UPRIGHT). VISUALLY INSPECT MATERIAL IN MIX-TUBE TO ENSURE PROPER MIXING. TILT DOWN AND DISPOSE OF INITIAL PORTION (5 PUMPS OR 3 SECONDS). CONTINUE DISPENSING INTO APPLICATION AREA. KEEP CARTRIDGE POINTED DOWN AND DISPENSE AT A CONSTANT RATE UNTIL FINISHED. AVOID REPEATED TRIGGERING ON AND OFF. TO RE-USE PARTIALLY DISPENSED CARTRIDGE: HOLD CARTRIDGE UPRIGHT. REMOVE MIX-TUBE AND WIPE CARTRIDGE CLEAN. REPLACE CAP AND NUT. NEXT APPLICATION WILL REQUIRE NEW MIX-TUBE. FastPatch EJC Cartridge Dispensing Techniques: Watch the video to learn how to correctly load and dispense FastPatch EJC (Elastomeric Joint Compound) cartridge products for concrete repair and asphalt repair applications. If you have any questions on how to properly load and use FastPatch EJC cartridges, please Contact Us for assistance. Joint sealant for 50% movement. Set Time = 50 min. 1:1 Vol. 1 year when properly stored. Store and ship this product in a clean, dry, low-humidity, shaded or covered environment at 60-90F. TEST RESULTS ARE TO BE CONSIDERED AS REPRESENTATIVE OF CURRENT PRODUCTION AND SHOULD NOT BE TREATED AS SPECIFICATIONS. WHILE ALL THE INFORMATION PRESENTED IN THIS DOCUMENT IS BELIEVED TO BE RELIABLE AND TO REPRESENT THE BEST AVAILABLE DATA ON THESE PRODUCTS, NO GUARANTEE, WARRANTY, OR REPRESENTATION IS MADE, INTENDED, OR IMPLIED AS TO THE CORRECTNESS OR SUFFICIENCY OF ANY INFORMATION, OR AS TO THE SUITABILITY OF ANY CHEMICAL COMPOUNDS FOR ANY PARTICULAR USE, OR THAT ANY CHEMICAL COMPOUNDS OR USE THEREOF ARE NOT SUBJECT TO A CLAIM BY A THIRD PARTY FOR INFRINGEMENT OF ANY PATENT OR OTHER INTELLECTUAL PROPERTY RIGHT. EACH USER SHOULD CONDUCT A SUFFICIENT INVESTIGATION TO ESTABLISH THE SUITABILITY OF ANY PRODUCT FOR ITS INTENDED USE. PROPER APPLICATION IS THE RESPONSILBITY OF THE USER. 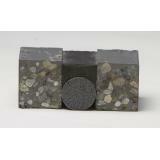 AS WITH ANY PRODUCT THE USE OF THE THIS PRODUCT IN A GIVEN APPLICATION MUST BE TESTED (INCLUDING BUT NOT LIMITED TO FIELD TESTING) IN ADVANCE BY THE USER TO DETERMINE SUITIBILITY. TESTING IS THE REQUIREMENT OF BOTH ENGINEERS AND CONTRACTORS ALIKE. WVCO DOES NOT WARRANT THE APPLICATION UNDER ANY OR ALL CIRCUMSTANCES.